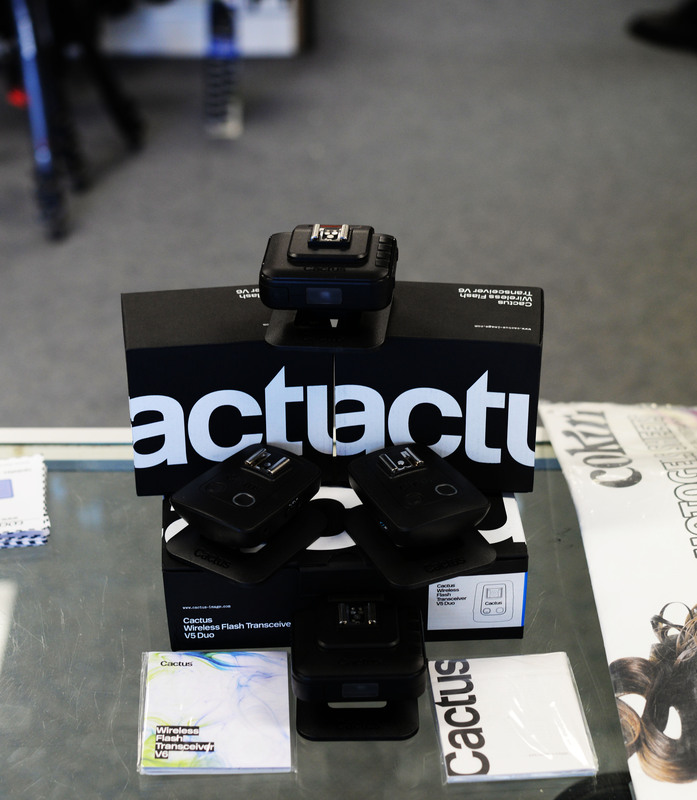 Walch Optics has just received a restock of the Cactus V5 Wireless Flash Transceivers. Reliable, sturdy, and great value, the V5s make a fantastic alternative to some of the more expensive flash triggering options on the market. They can also be used to wirelessly fire your camera’s shutter and even autofocus your lenses, saving the need for an extra piece of equipment. The V5s come in a ‘duo’ pack of two transceivers for $85. That’s all you need to trigger one speedlight or studio flash for just $90. The more flashes you need to trigger, the more Cactus V5s you add. Dead easy. New to Walch Optics is the Cactus Wireless Flash Transceiver V6. The V6 offers improved control, allowing you to remotely control the power output of up to 4 groups of remote flashes as well as offering TTL pass-through. The V6 allows manual flash power adjustments in increments of just 0.1 EV across certain models of flash, even if the flash doesn’t allow such fine control itself. Cactus have also profiled more than 30 of the most popular flash models across a range of brands, so the V6 can control their output levels with ultimate precision. If you use a flash that the V6 doesn’t know, it can learn the flash profile and to control the power output. The Cactus V6s are in-store now at $80 each. As with the V5s, you will need one transceiver unit for your camera, and one transceiver unit for each flash you wish to use together. Both systems are compatible across brands, so if you jump ship from Canon to Nikon (for example), you won’t need to purchase a different set of triggers. Handy. Come into the store the check the Cactus range out for yourself and ask any questions that you may have. As always, we want you to get the most out of any purchase you make. Clearance Sale of Nikon gear.